To mark Jeepney TV's first anniversary, Hapi-Hapi Kaara-One concert was held last November 15th at 19th East Bar in Sucat, Paranaque to benefit relief operations spearheaded by the Sagip Kapamilya campaign. 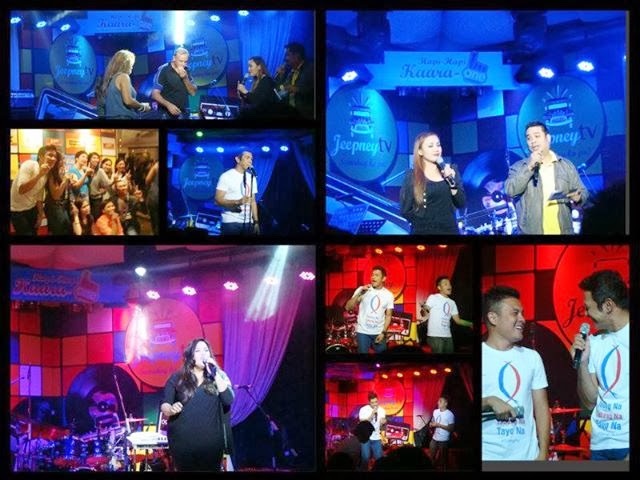 Jeepney TV celebration was aimed at raising funds the victims of the recent super typhoon Yolanda. “Hapi-Hapi Kaara-One” special guests in the likes of Mister Pure Energy Gary Valenciano, his son Paolo Valenciano, The Voice of the Philippines’ Radha Cuadrado, plus the Fair Warning Band performed musical throwback numbers much to the delight of the audience. Jeepney TV is a Filipino cable television network owned and operated by Creative Programs, Inc., a subsidiary of the media conglomerate ABS-CBN Corporation. Named after the jeepney, this ABS-CBN cable channel features classic Kapamilya shows. 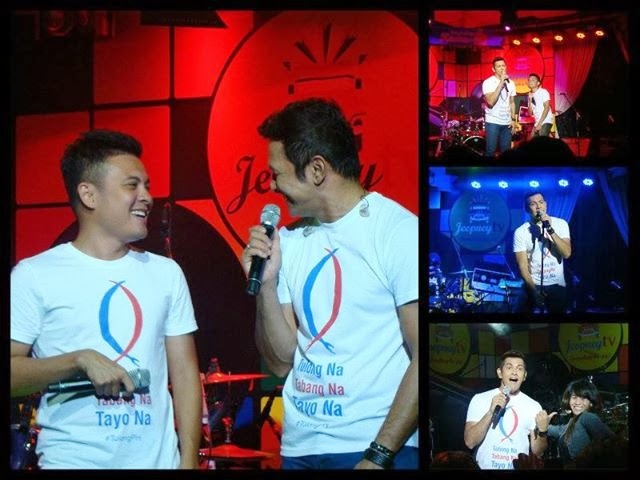 ABS-CBN Foundation's Sagip Kapamilya was also set up a booth at the concert venue that sold "Tulong Na, Tabang Na, Tayo Na" shirts to augment this fundraising effort. Another Jeepney TV show titled "Biyaheng Retro" was launched last Sunday. Said show will be hosted by ABS-CBN reporter Mario Dumaual and Janella Salvador of "Be Careful With My Heart." Jeepney TV is available on SkyCable channel 9 and other leading cable systems nationwide. Like the Jeepney TV Facebook Fanpage for their programming schedules.